"We are an open, living, Christian community, seeking through our worship to make a difference in Wimbledon and the world. We seek to celebrate and share the love of God for all; in prayer, reflection and action; by listening, learning and growing together; through serving others and the wider world." If you come along to Holy Trinity you’ll find a friendly, growing, diverse, all-age community. We are passionate about meeting God in worship and reaching out to our world and local community. We welcome everyone, irrespective of age, gender, race, sexuality, or anything else that distinguishes people. We are a signatory to the Inclusive Church declaration. 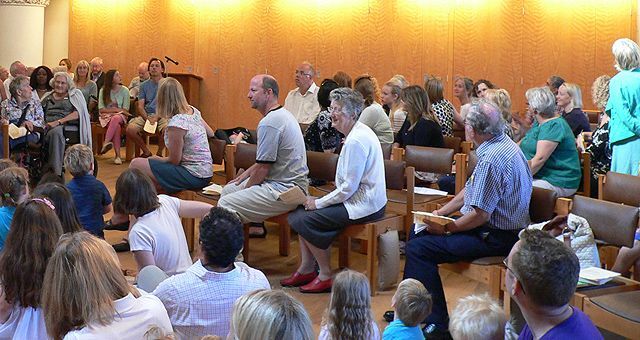 It’s always difficult to describe what a church is like, but within the spectrum of the Church of England we’d best be described as ‘liberal catholic’: liberal, because we’re open to new developments within the life of the church; catholic, because our faith is rooted in the ancient tradition of the church, with the sacraments at the centre of our worship.